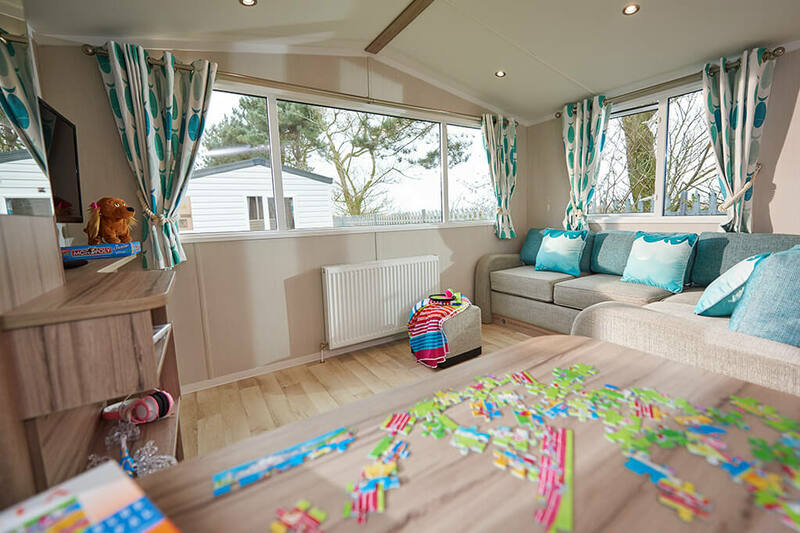 Our Deluxe newer models are 12ft wide and are less than two years old. 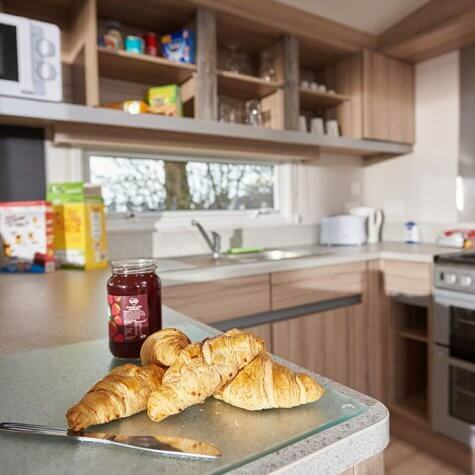 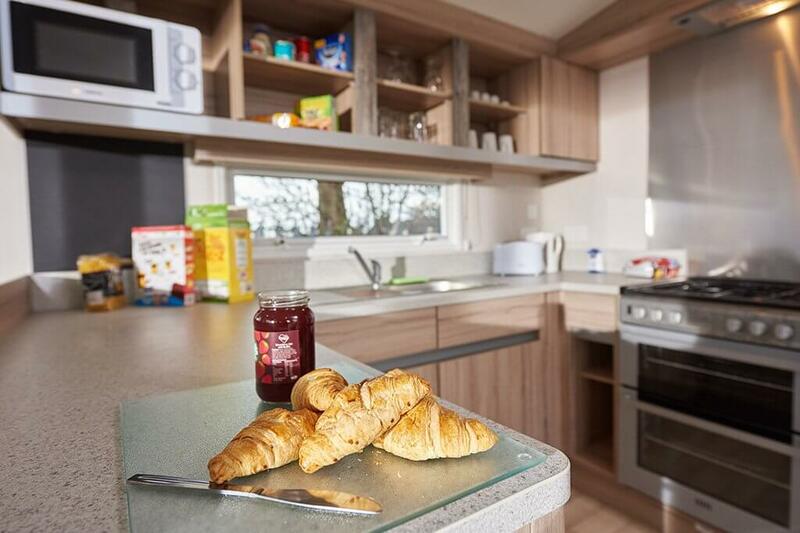 With high-quality interiors and fully equipped kitchens, our newer models benefit from a 32″ TV, double glazing and central heating throughout to give a really cosy feel, plus a minimum ¾-size fridge freezer in the kitchen. 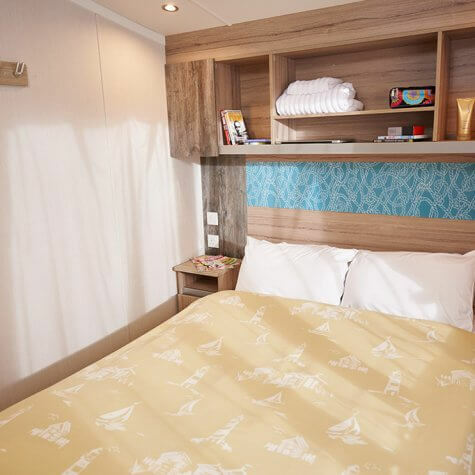 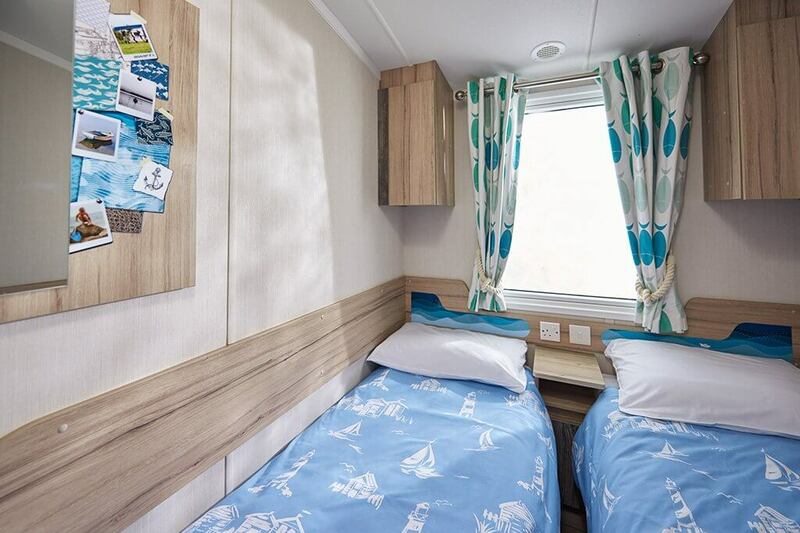 Our two bedroom models can sleep up to six guests, but if you need even more room, our three bedroom models can sleep up to eight as you’ll find a pull-out bed in the lounge. 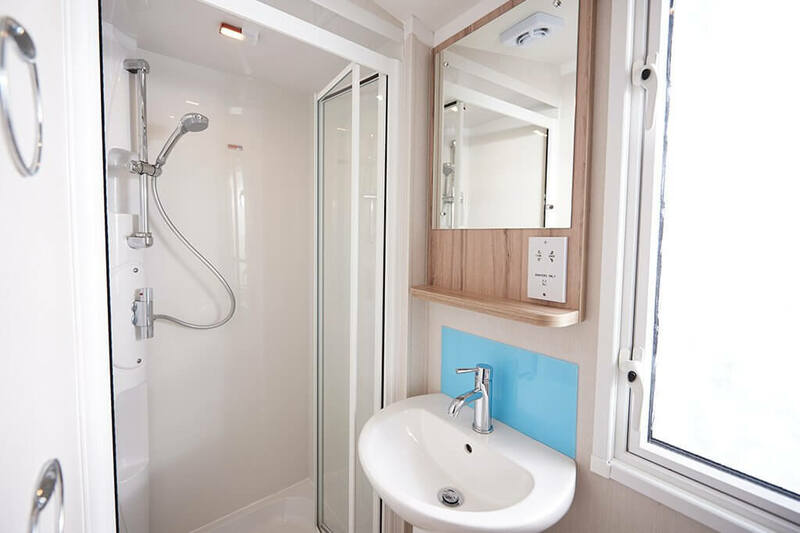 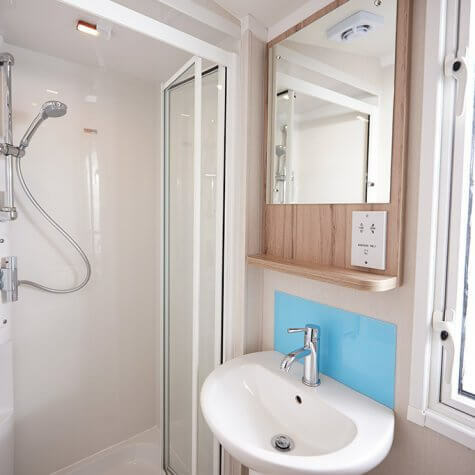 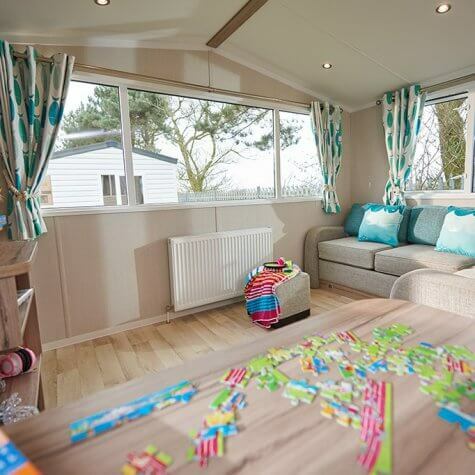 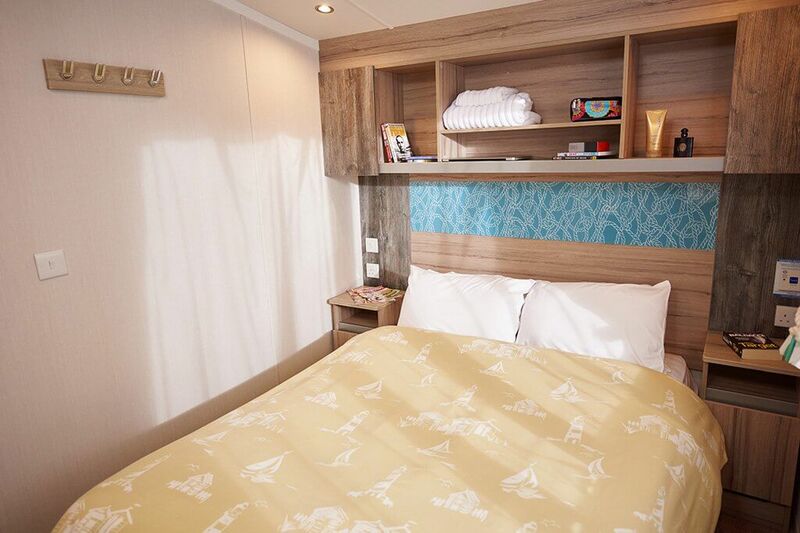 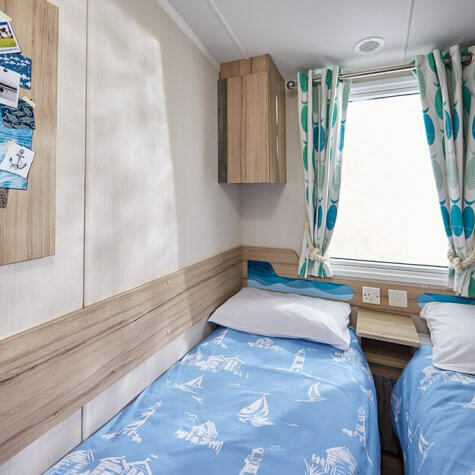 Book a holiday in a Deluxe newer caravan and you’ll be able to check in from 3pm.